The Sligo Coat and Jacket take their names from the town and county of Sligo, which neighbour Castlebar and Connaught and share much of the same imposing landscape and seascape, save that here the cresting waves of the North Atlantic crash daily at the very the edge of the town. The town and County are remembered for their close association with Grace O’Malley, the fiery, bare-breasted rebellious Irish queen who kept a fleet of fighters along that coast and was later to win an audience with Queen Elizabeth in defence of her lands. This is also the sea and shore where many a noble Spaniard from the Great Armada perished in the dragon’s teeth of the sea. 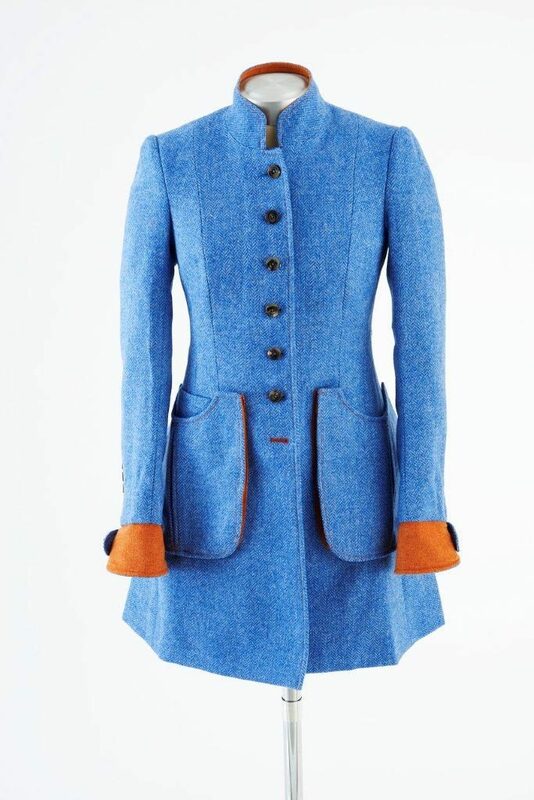 Both Coat and Jacket are characterised by their high Nehru collar, reminiscent of naval tunics over the years. 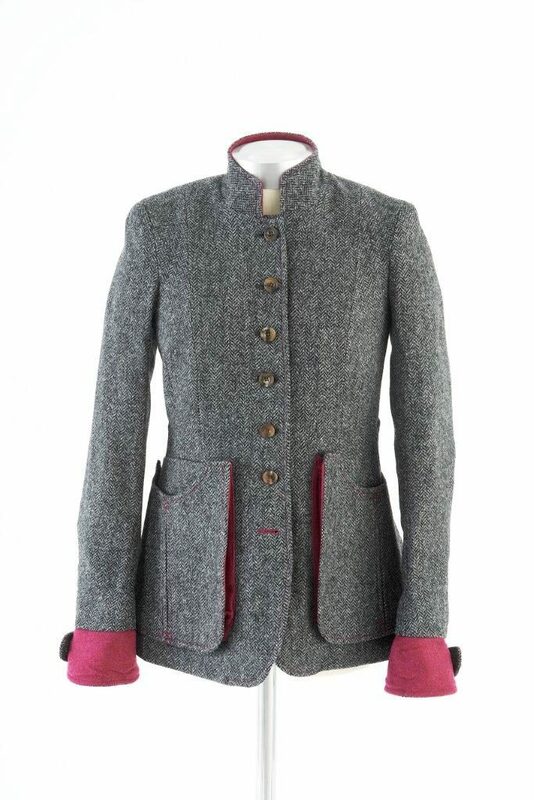 The Sligo Jacket comes in both brown and grey herringbone. The cloth has been handpicked using the finest grade British wool, made for professional tailoring. Like the Sligo Coats in green and blue, the patch pockets are designed to expand. The Sligo jacket is suitable for country sports due to its many ergonomic features. Some of the features of the Sligo jacket include the action back with deep pleats, patch pockets, integral rear half-belts for fit, extension cuffs for warmth and show, and removable internal recoil pads right and left. 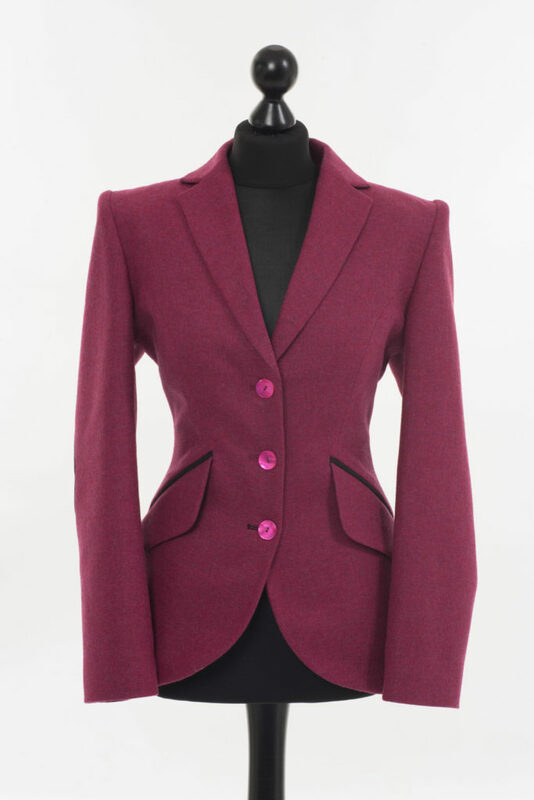 The front is done up with buttons stitched on by hand and on the back there are half-belts for two different settings, giving your body shape and style. The collar is in the elegant Nehru style. The extendable cuffs can be folded up or down allowing for the contrast colour to be shown off as well as warming the wrists, and are an added protection for your jewellery in the city. 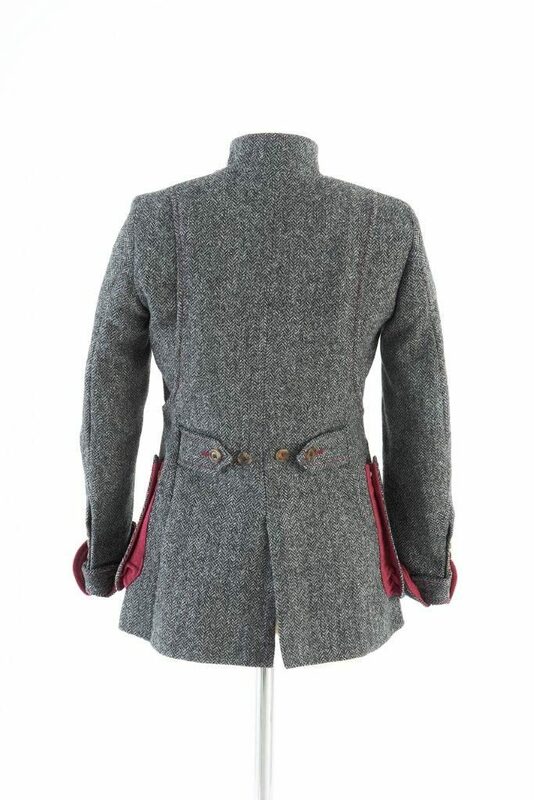 The Sligo Jacket is functional, though, whether in brown in grey, it is still stylish enough to turn heads in the watering holes of the metropolis. In the Lucan Fashion Lookbook, we have gathered pictures of our own Anne-Sophie Lucan carrying the different Lucan collections. 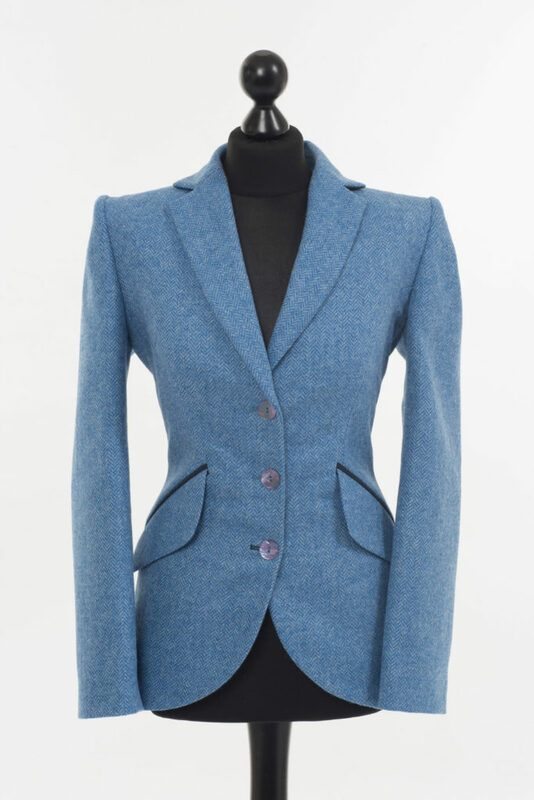 Take a look at the collections and get inspired as to how you can match the Sligo Jacket with the rest of the Lucan Fashion collection. 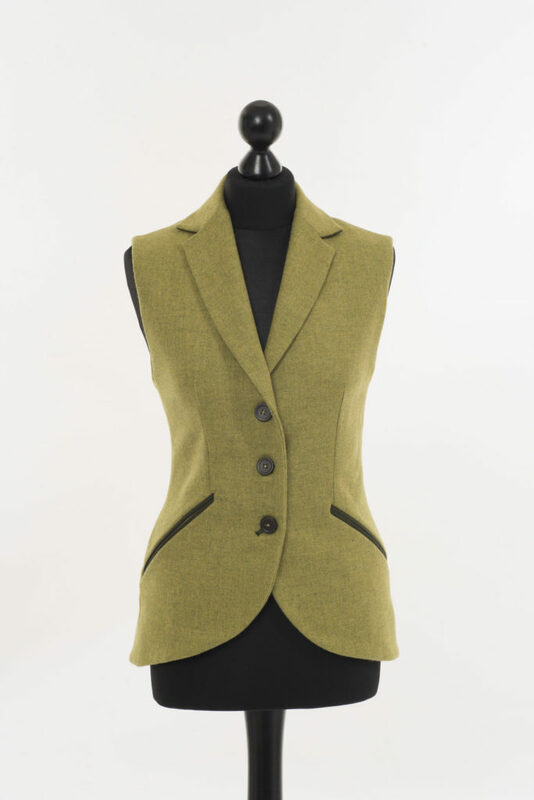 Among customers, it is common to marry the Sligo Jacket with the ladies trousers, vest and cap in matching colours to create the full Lucan Fashion set that is suitable for both country days and city nights. Integral rear half-belts for fit. Extension cuffs for warmth and show. Removable internal recoil pads right and left. Pure new wool Shetland inspired tweed.